Posted on September 14, 2018 | 2549 views | Topic : News & Articles, Property News. PETALING JAYA: Gamuda Land unveiled its latest township, Gamuda Cove, earlier today at Menara Gamuda. The 1,530-acre township, with a Gross Development Value (GDV) of RM20bil, is a mixed development consisting of residential, commercial, offices, healthcare, and educational components. According to Gamuda Land general manager Wong Yik Fong, in a press conference, “Three phases of the residential units will be completed within this financial year. The first phase of landed residential units will be launched this month while the first phase of condominium units will be completed in March 2019. We hope to complete the second phase of landed units towards the end of the financial year. Cumulatively, we will be launching a total of 2,000 residential units with a GDV of RM1.5bil”. Giving equal importance to nature as previous townships, Gamuda Land is once again set to preserve flora and fauna surrounding Gamuda Cove. A scientific audit is being carried out by NGOs and professionals for six months to ensure native flora and fauna surrounding and within the development continue to flourish. 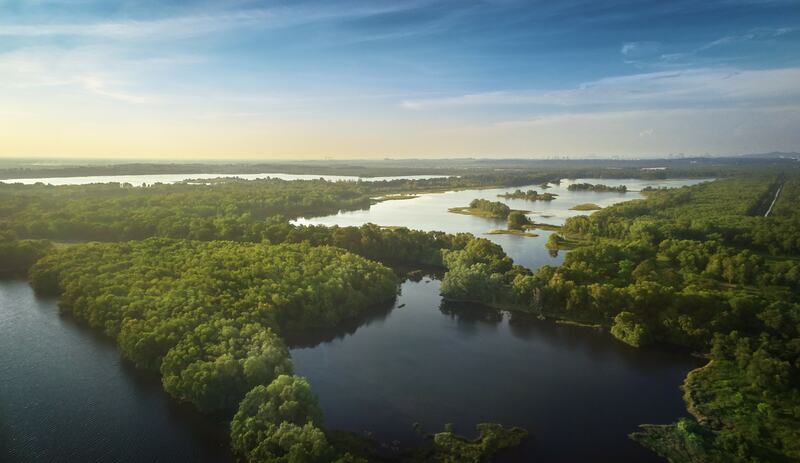 The township is surrounded by Paya Indah Wetland and Kuala Langat Forest Reserve, making it lush and green. 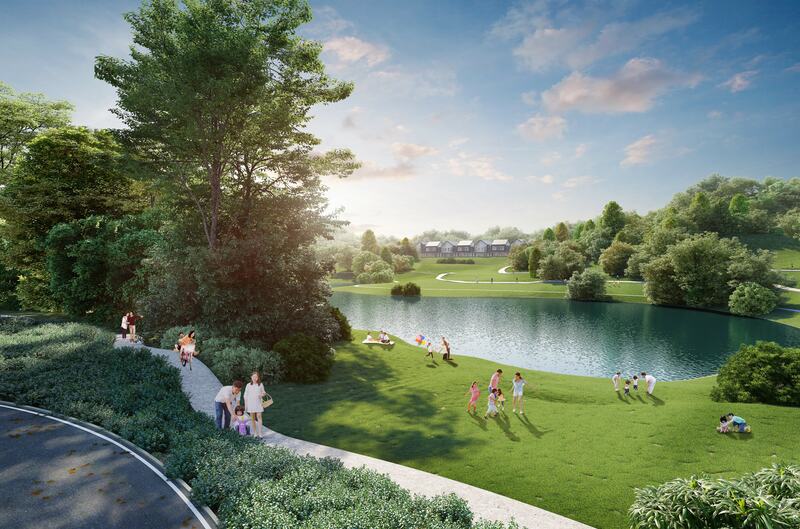 Gamuda Cove will also feature a 60-acre Central Park with three lakes to further emphasise the importance of nature in Gamuda’s townships. “We listen to the land. We go down to the ground, record the existing flora and fauna, and understand the biodiversity of the area. We have to be very sensitive to the environment as we develop this project,” said Wong. 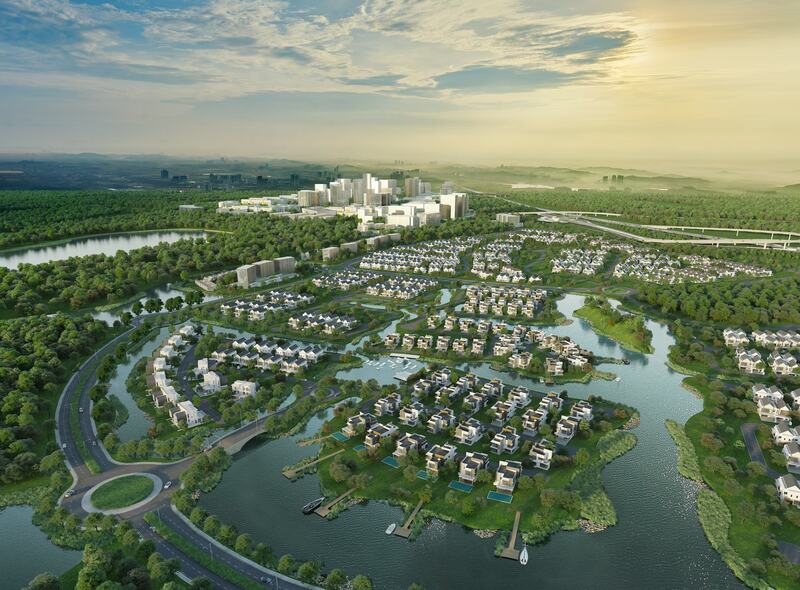 The township comprising 20,000 residential units with a GDV of RM20bil is aimed to be completed in 2038. Shuttle bus connecting Gamuda Cove to surrounding amenities such as KLIA, KLIA2 and Putrajaya Sentral Station. 50-acre Gamuda Cove Discovery Park consisting of three recreational zones namely, Adventure Park, Hangout Village, and Sports Park. Education centres such as Xiamen University, Lim Kok Wing University, ELC International School and the Multimedia University. Sustainable smart city located amidst nature that integrates residential and commercial developments, green spaces, water bodies, tram, 5G connection and smart vehicle charging station.